PALO ALTO, CA, May 16, 2017 – Striim™, provider of the leading end-to-end, real-time data integration and intelligence platform, today introduced Striim for IoT, a comprehensive streaming data management solution for the Internet of Things (IoT). 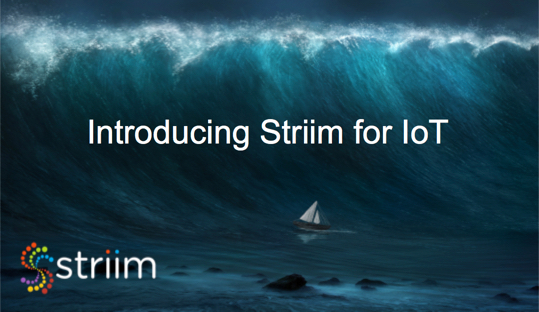 Striim for IoT helps companies address three of the most difficult data challenges of IoT infrastructure: 1) managing the tsunami of data generated by IoT devices, 2) integrating IoT data with the enterprise and analyzing it in real time, and 3) addressing security issues associated with the explosion of connected devices. 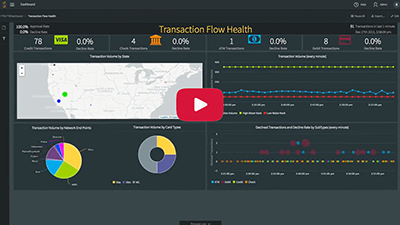 Through enterprise-grade, real-time data integration combined with streaming analytics and visualization, Striim enables IoT-driven companies to make fast, informed decisions based on context-rich, real-time insights. Striim is a Platinum sponsor of IoT World. “Leveraging Streaming Analytics to Combat Cyberattacks at the Edge” – Wednesday, May 17 at 2:20 p.m.
“Architecting for Continuous IoT Analytics” – Thursday, May 18 at 1:40 p.m. Please visit us at the Striim booth (#218) to learn more about the Striim for IoT solution. Join Alex Woodie, Managing Editor of Datanami, and Steve Wilkes, founder and CTO of Striim, for an interactive live discussion on “Strategies for Managing the Oncoming Tsunami of Data” on Wednesday, May 24 at 10am PT/1pm ET/5pm UTC.